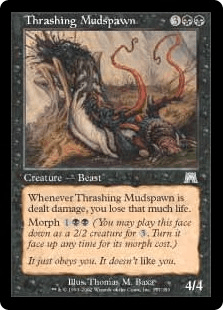 Whenever Thrashing Mudspawn is dealt damage, you lose that much life. It just obeys you. It doesn't like you.